Townspeople are disappearing in the provincial city of Montafleur as its streets are overrun by nightmarish creatures that vanish into a purple mist. The Red Riding Hood Sisters were called in to investigate, but they've got their hands full chasing a ferocious beast last seen along the outskirts of town. Explore the lush French countryside as you team up with Ruth and Brianne to uncover the dark secrets behind Montafleur's world-famous perfumes. Unmask the true villain, before their nightmares spread to the entire world! 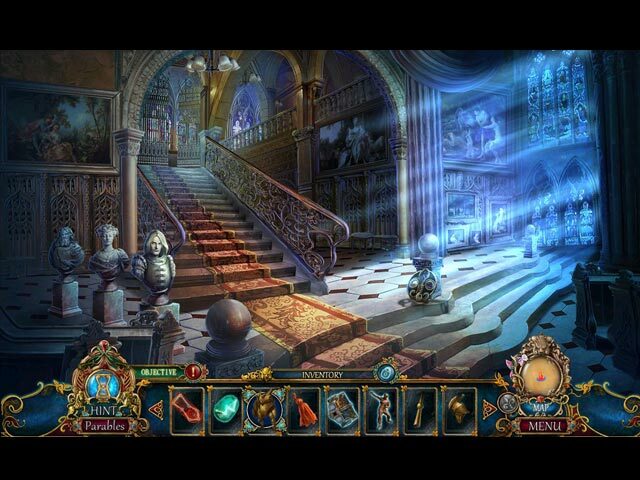 Dark Parables: Queen of Sands is rated 3.8 out of 5 by 27. Rated 5 out of 5 by JulzCat from Enter Sandwoman! Another Eipix/Blue Tea beauty! Once again our detective saves a town from the greed of a king (with a little help from a Red Riding Hood Sister and Rapunzel). This game took me a while to finish. The FROGS were fun, the mini-games were super challenging and the graphics were breathtaking, as usual. You'll enjoy this game immensely! Rated 5 out of 5 by cejene from Enjoyed this Game Wonderful graphics and story. Love the FROGS. Too many mini games. Rated 5 out of 5 by possumb from Perfumed mystery I love all Dark Parable games - so I am biased. I have not quite finished this game yet but I am enthralled. The graphics are excellent; the voice overs credible and the HOS - unique as always. 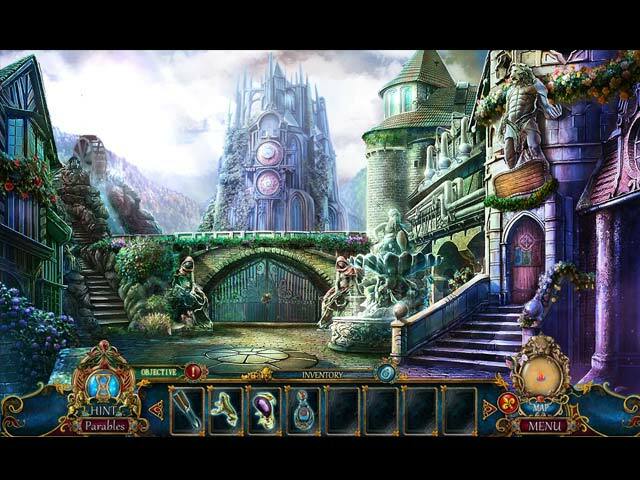 There are a number of puzzles which keep mind entertained - totally adorable mystic adventure. Rated 5 out of 5 by denniann2 from watch out for the queen!!! a village has creatures manifesting themselves and disappearing into a purple mist. the red riding hood sisters have been called and they have their hands full and request help from you the detective. there is a custom level and an interactive map. good hint system. you collect items all though the game and use them eventually. you are fighting the queen of sand and, of course, ants to dominate the world and bring destruction to it. you have help from a man/beast throughout the game. a woman that is helping you knows quite a bit about this and stands with you. sequel......of course there always seems to be one. 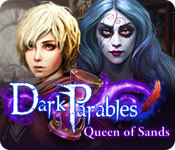 Rated 5 out of 5 by vmomahhj from Dark Parables: Queen of Sands Love it and has played it over and over. Rated 5 out of 5 by PATinPNS from As Sands Through the Hour Glass... This is posted after playing the entire game. I have to say, I was a bit reluctant to purchase this game, but I am so glad I did. I had enjoyed the Dark Parables series, but the last ones have not been up to the quality of the originals. This one lived up to those originals and then some. I really enjoyed playing. The graphics were okay. They were clear and appeared to be hand drawn. Colors were great and some scenes were actually worthy of being called art. The sound, including the music, was great as well. Voice overs were well done and made the story live, if you will. 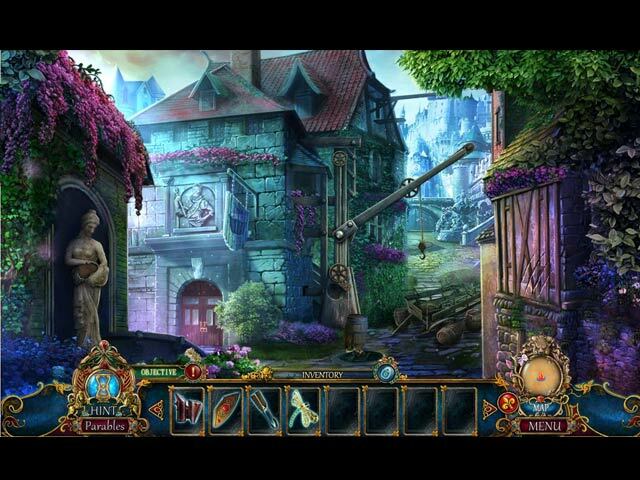 The hidden objects were the put together type like all others in this series, but with one large exception. The past few games, I was able to just go through the pictures without even looking at the clues and get 99% of the objects. Not this time. They were well hidden and I had to search. Yes, these types of games do get a bit boring, but this one had that special touch that made them more of a challenge. The mini games were difficult for me. I'm not much of a mini game kind of guy. I just don't have the patience anymore. If you like brain busters, you're going to love most of these. You have an interactive map which takes you where you want to go as well as showing where there are things to be done. The hint and skip buttons, in casual, as quick to refill which is always a plus in my book. I liked the story and I'm not much into fairy tales, but this one was good. It had me from beginning to end. You know the detective is going to win out, but how it's done is rather unique. Big Fish does a great job explaining the story so I'll not go into that. It is an interesting and fun time. Give it a shot. I think you'll like it like I did. Rated 5 out of 5 by andymore from Very good! I enjoyed this game. It has a good story line, I liked the graphics, liked the cutscenes and overall atmosphere. Mostly of the puzzles were pretty good, but not something you can really dive into but nice way to while away the time and relax.